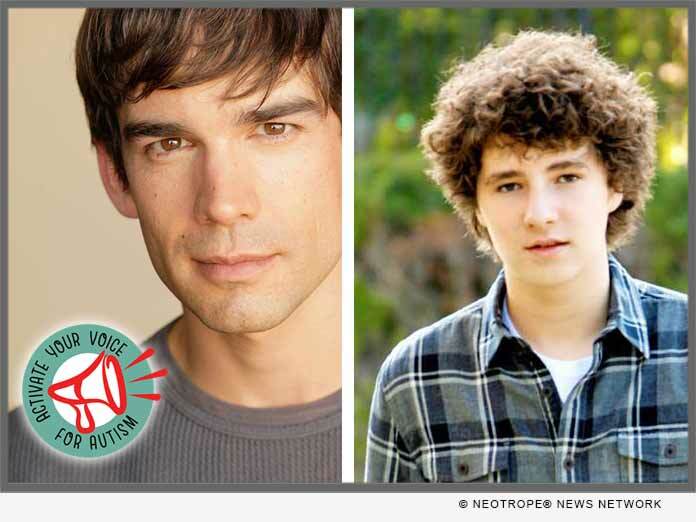 SAN FRANCISCO, Calif. /California Newswire/ — Geek Club Books for Autism today announced that actors Christopher Gorham and Julian Feder, lead characters in the award-winning indie film, “A Boy Called Po” joined the #Activate4Autism movement, a public awareness campaign as a part of National Bullying Prevention Month. People on the autism spectrum are often misunderstood, marginalized, undervalued and 3 times more likely to be victims of bullying. The campaign brings together voice, stage and film actors, children’s authors, comic artists and autistic advocates who activate their voices for autism, speaking out for acceptance and inclusion. Videos are viewable, educational comics are downloadable, and action steps for activating change are accessible via the nonprofit website, geekclubbooks.com. “A Boy Called Po” was in theaters this summer and is now available on-demand everywhere including iTunes and Amazon. The filmmakers are working to get the film distributed to educational institutions to bring better awareness and acceptance into schools. Using storytelling, Geek Club Books nonprofit’s mission is changing perceptions and putting an end to the stigma surrounding autism, replacing fear with wonder. The nonprofit produces interactive children’s comics, curriculum, assemblies, public awareness campaigns, online resources, and educational videos for acceptance in classrooms, on playgrounds and in communities. They mentor and empower autistic individuals to be the storytellers, inspiring empathy, inclusion and acceptance for those who are different. Learn more: https://geekclubbooks.com/. Inspired by true events, “A Boy Called Po” tells the story of a recently widowed father (Christopher Gorham) struggling to raise his son (Julian Feder) who is on the autism spectrum. The pressures of work, school and coping with loss push the two nearly to the point of breaking. John Asher directed the film from a script by Colin Goldman who shares story credit with Steve C. Roberts.